Freshness and quality should Never be compromised. 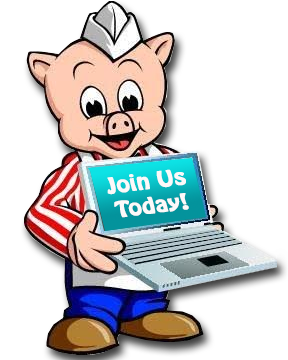 At Piggly Wiggly, We believe that our customers deserve only the Best products available on the market. That is why it is so important for us to purchase as many local products as possible. Nothing is better than what you get in your own backyard! We work with several local businesses to select the areas freshest items to put on our shelves. Piggly Wiggly takes pride in our selections, and we hope you will too! 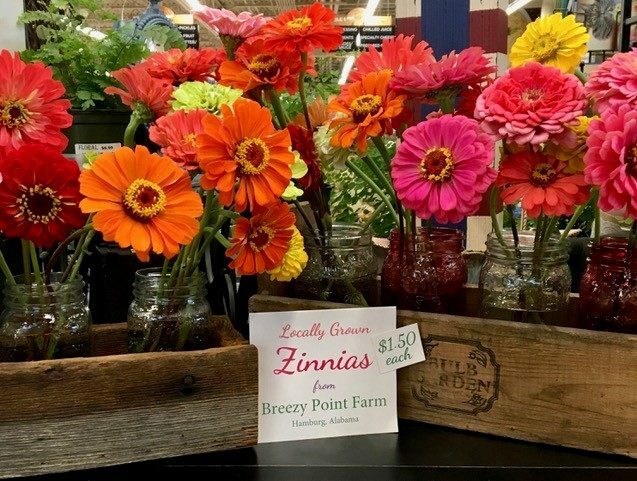 Ann Lee offers her gorgeous Zinnias and other fresh flowers from Breezy Point Farm. Delivered to our Crestline store within hours of cutting, so they last and last. 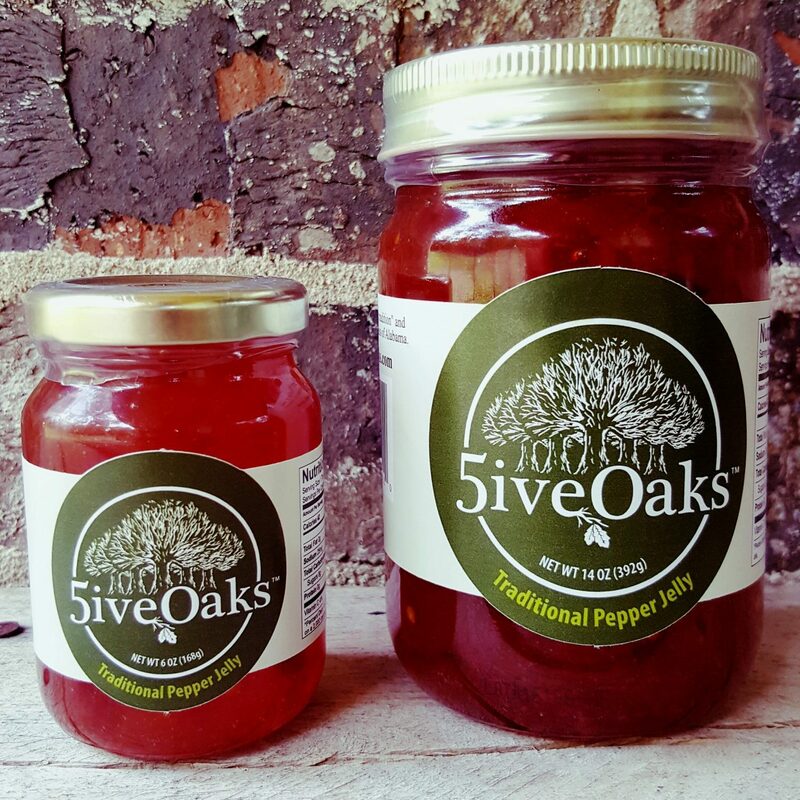 Delicious Pepper Jelly Available at Our Bluff Park, Homewood and River Run Locations. Click link below to find out more! 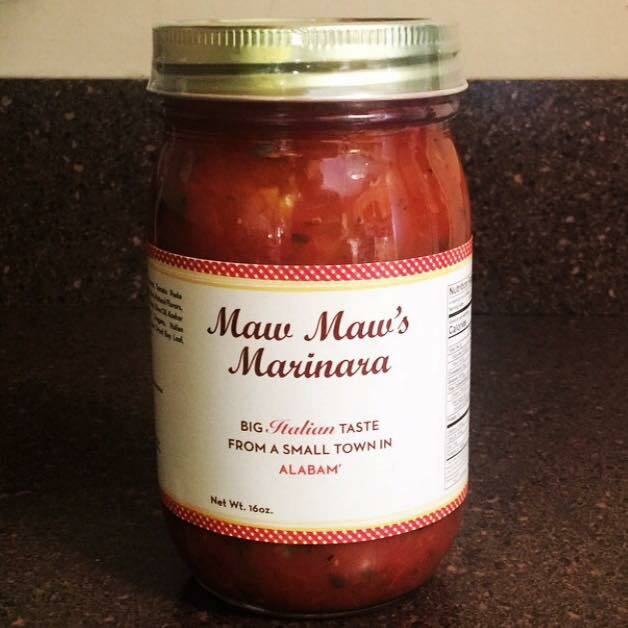 Delicious Maw Maw's Marinara Big Italian Flavor from a small town in Alabam! 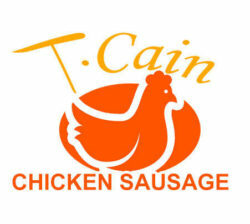 TCain Chicken Sausage is a unique blend of spices with the purest freshest blends of spices and herbs which creates this savory taste; with just one taste you're going to fall in love. 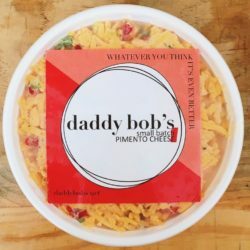 Daddy Bob honed his pimento cheese formula for decades until he found the perfect slow building heat and flavorful recipe that is loved and appreciated around the United States & beyond. The Dream Started in New Orleans, but Birmingham made it a reality! Locally owned bakery and Cupcake Truck offers Birmingham’s highest quality baked goods 6 days a week with over 100 flavors of cupcakes, brownies, pound cakes, French macaroons, oatmeal creme pies, cannoli, and cookies. 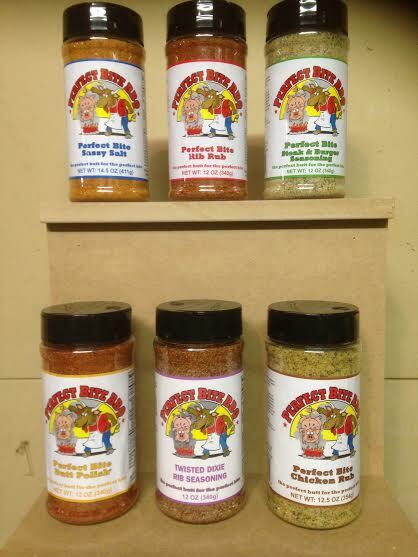 Conecuh hickory smoked products from Evergreen Alabama. Generations of Goodness in Every Bite! It all began over thirty years ago in the small Alabama town of Jasper with a family-owned steakhouse and homegrown good flavor. 3 G Farms prides itself on providing the highest quality, best tasting, all natural tomatoes to the local grocery stores. We grow them you like your grandfather did (if he used hydroponics). Nothing but hard work, water, and a little fertilizer. Our greenhouses and hydroponic systems allow us to forgo the use of any pesticides and we use the smallest amount of fertilizer required to keep the tomatoes healthy. Southern Style Bite Size Cookies! For generations people have enjoyed the taste of slow cooked meat over an open fire. Countless hours and thousands of recipes have been devoted to the pursuit of the right combination to create the setting for that “Perfect Bite”. At Sweet Melissa's our irresistible taste is no mystery at all. 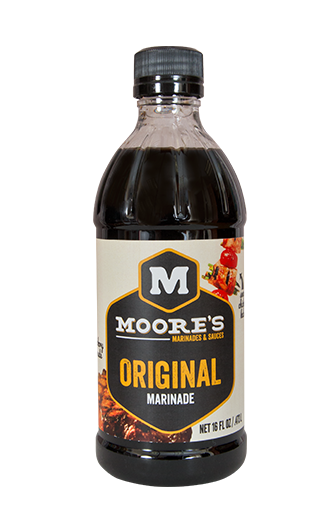 It is our "passion" bottled into each of our products. 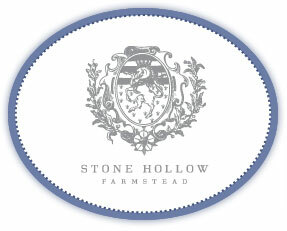 Stone Hollow Farmstead provides handmade, farm fresh artisanal products using the highest quality standards. Southern Fried Pies are a comfort food anyway you serve them. 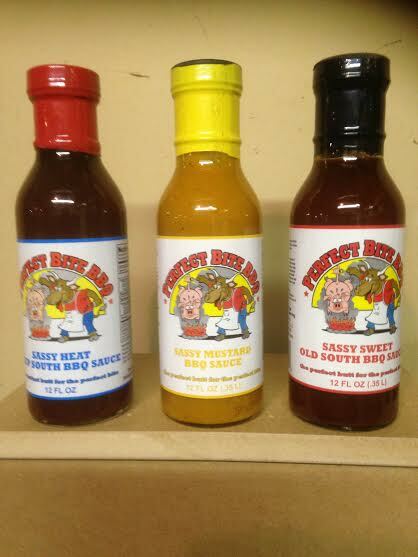 SlapHappy BBQ in Birmingham, AL, is a barbeque sauce company featuring three delicious sauces – sweet, heat and fire – with a unique taste unlike anything currently on the market. 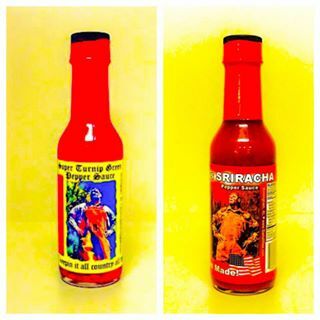 Our finger-lickin’ good sauce will leave you wanting for more! Passed down from one generation to the next, winemaking has long been a Southern tradition. Morgan Creek Vineyards is proud to share our tradition with anyone and everyone. Mook Mills Cheese Straws are traditional full size all natural 100% real cheddar cheese straw. Merry Cheese Crisps are made from scratch in small batches in Birmingham, AL. They’re not an ordinary "cheese straw." They’re round, bite sized and a full flavored sharp cheddar bite. 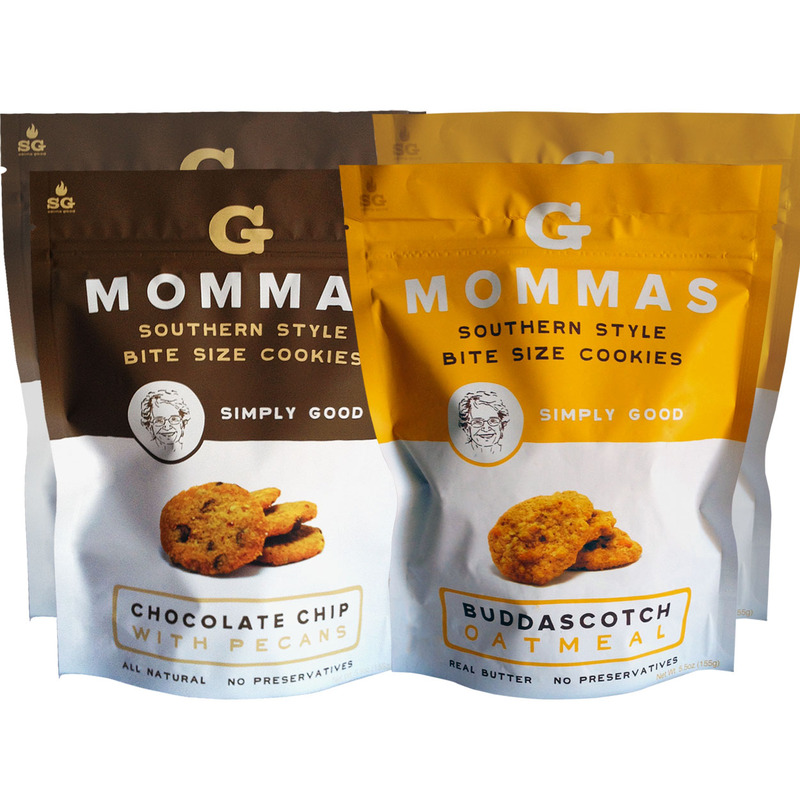 Available in both bags & gift tins, they’re the perfect ‘go to’ for snacks, entertaining, & of course tailgating! Mamie's Cheese Wafers are a super-quick, super-convenient and super-delicious cheddar cheese and pecan appetizer that is a popular Southern favorite. Indianapolis Fruit Company supplies grocers and retailers in more than 14 Midwestern states with the freshest, safest and most enjoyable fruits, vegetables and other essential produce items on the market today. Granny's applesauce cake has always been a favorite of my father's and over the last year few years, I worked diligently to master my grandmother's recipe. Once perfected, G's Apple Dreams were born. Although a smaller and lighter version of my grandmother's original cake, these applesauce muffins come from the same "charm" as the original cake and are "Simply Amazing Applesauce Muffins". 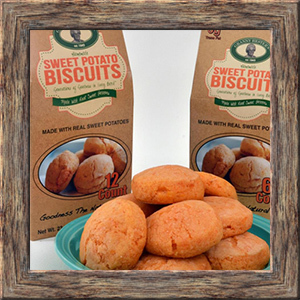 Pick them up in the frozen or bakery section of your favorite local grocer. Your family will thank you! Golden Flake Snack Foods, Inc. was founded in Birmingham, AL in 1923. A Southern tradition and a family favorite, Golden Flake offers a wide assortment of snack foods including potato chips, tortilla chips, cheese puffs & curls, and much more! Crispy, crunchy and delicious, Golden Flake is the South’s Original Potato Chip! 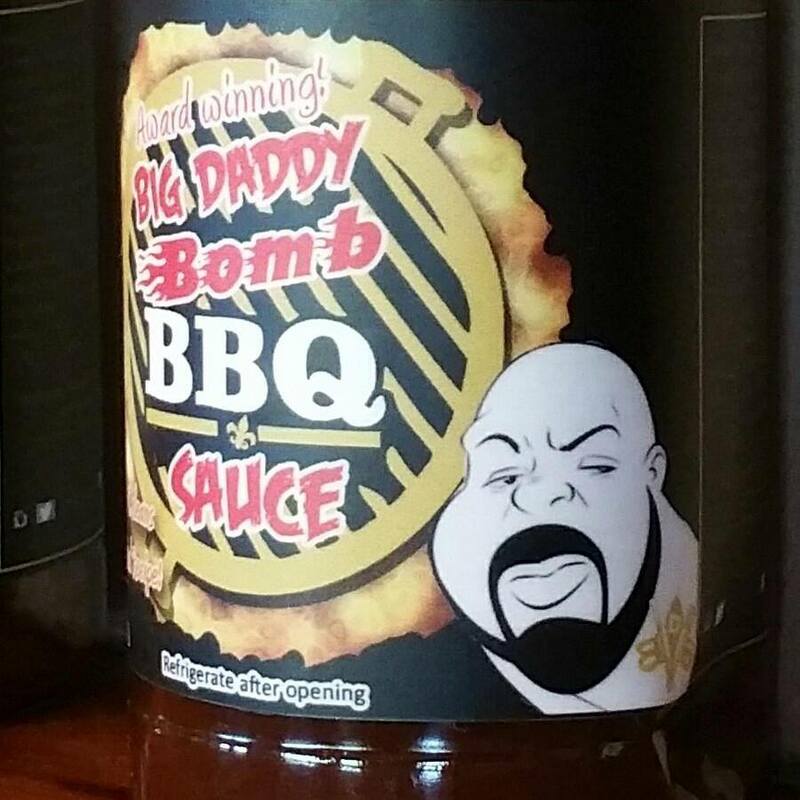 Firetruck Bar-B-Que​! Mouth Watering, Juicy BBQ Ready In Minutes. 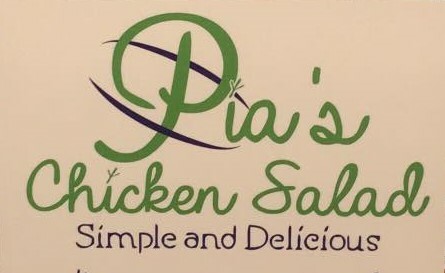 Available at Clairmont, Hueytown, McCalla, River Run, Bluff Park and Homewood. When Drew and Karen met, Drew’s (the D in DAK’s) his diet consisted with beer and pizza. Fortunately, Karen (you guessed it, the “K” in DAK’s) came to the rescue with healthy meals that curbed his cravings. Her secret weapon? SPICE BLENDS! Karen created her own spice blends a number of years ago for her friends and family, many who have cardiac problems or high blood pressure. Drew could not believe how tasty Karen’s cooking was and knew they must share this with others. That was the start of DAK’s Spices. 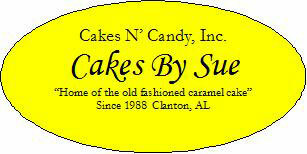 Cakes N' Candy's, Cakes By Sue, are a must have for any occasion. Whether birthday, holiday or dessert, these cakes are delicious! All natural, all Alabama dog treats made from spent grain donated by local Birmingham, Alabama breweries. 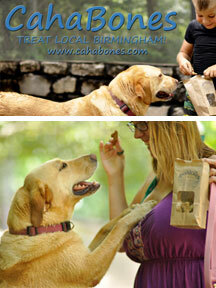 CahaBones is a brand new small business where proceeds benefit the Cahaba River. 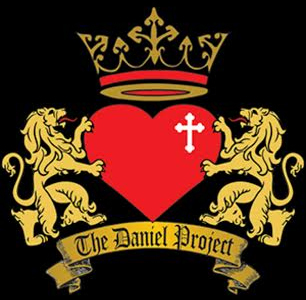 We will also be involved in educational programs for children where we enjoy the recreational opportunities around our great city of Birmingham and also become informed, responsible citizens. We take part in weekly cleanup projects and bi-weekly activities involving home school groups, clubs and fellow residents that would like to become involved. Bare Naked Noodles is a locally owned and operated pasta business based out of Birmingham, AL. We have a commercial kitchen and will be around town selling pasta at all the local markets, so check our calendar of events to grab some yummy goodness! For almost 20 years Belle Chevre has been hand-crafting fine French style goat’s milk cheeses in rural Alabama.